Here’s a quick note that may help you get through the rest of the week… maybe for some of you the rest of the day!! Think of any problem, challenge, or difficult situation you are facing as a mountain in the distance. 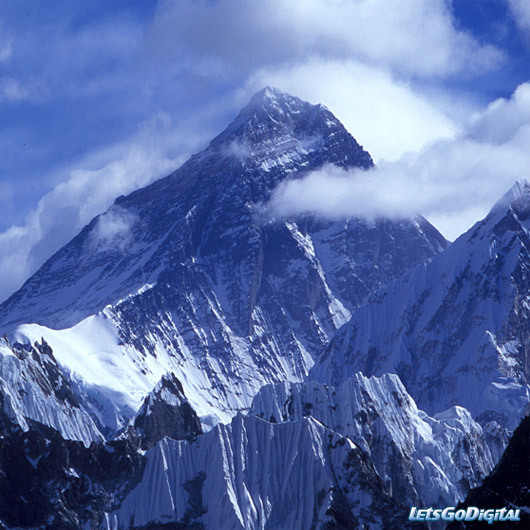 Your mountain seems like a momentous challenge that will take forever to overcome. As you sit there pondering how you are going to get over it or how long it will take to get around it, let me let you in on something… Stop wasting time and energy thinking that your problem is greater than God. Stop preparing yourself for a fight that you’ve already won. It’s like packing up weaponry and all-weather gear to go on a journey that required some running shoes, one change of clothes, and a backpack. Now back to this momentous mountain that you’re preparing to climb…Show me in the Bible where it says that you EVER have to climb up the rough side of a mountain? … Go head, I’ll wait… Now that we’ve concluded that there are no references to it, let’s agree that we will NEVER sing that song again. I thank my Pastor for that revelation because too often we follow after mothers and grandmothers who grew up singing certain hymns that are not Bible based. Some of them go completely against the Word of God but they sound good and help us to feel better about our situation. Each time you come across a mountain remember that all you have to do is speak to it. Mark 11:23 reads, “For verily I say unto you, That whosoever shall say unto this mountain, Be thou removed, and be thou cast into the sea; and shall not doubt in his heart, but shall believe that those things which he saith shall come to pass; he shall have whatsoever he saith.” PRAISE BREAK! If God is telling us to stand, then He definitely isn’t expecting us to climb. So stop feeling overwhelmed by the “vastness” of your situation. Don’t be deceived. Continue to speak life into the situation, put on the proper armor, and by all means stop climbing!! Thanks mommy! Love you back!! Dag man… I LOVE THAT SONG TOO!!! lololololol. Praise God for your blog sis. The Bible is God-breathed. It does not lie. So w/ that, I appreciate the fact format you have presented. Very encouraging as well. Bold&Fab job!! hahahahaha… I lot of people love that song! !…Thanks for the comment sis! I always wondered was that a literal reference to coming up on the rough side of the mountain or not because we all have struggles and need to continue to not give up. Im not sure. We must also be aware of the fact that anything we “speak” into existence was already preordained to be so by the Lord and exists ONLY through the power of the Holy Spirit who lives in us. Great insight, something I needed to be remnded of today.